Zero presents this tee and shorts set for your little one. The tee features round neckline and print to the front. The striped shorts with soft elastic waist ensures comfort. 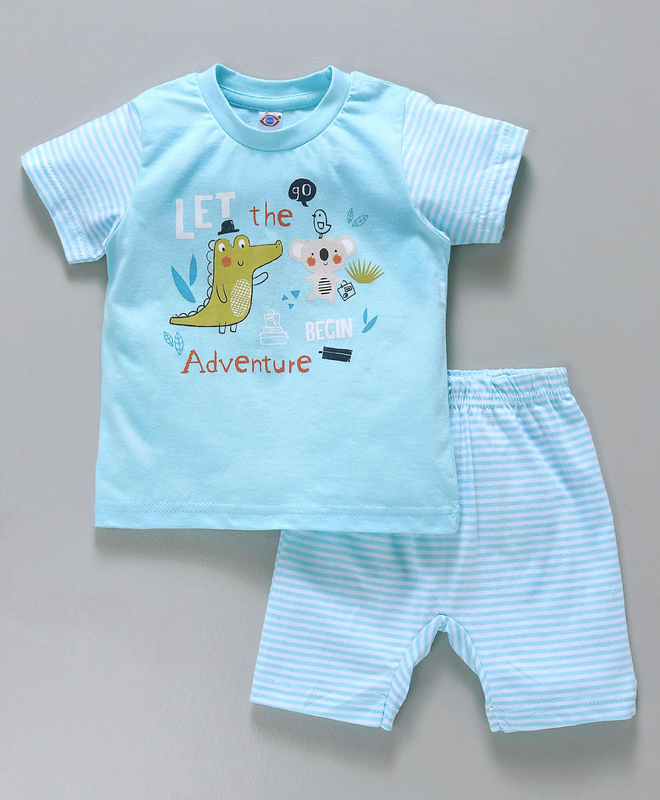 Carefully tailored with an impeccable finish, this set will keep your little one at ease all day long.